A Tribe Called Quest front man Q-Tip, is back with his second solo LP The Renaissance. 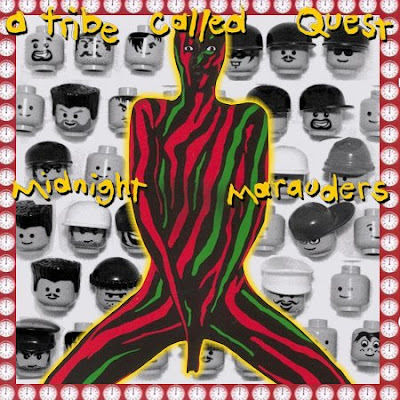 In the 90’s, the hip hop audience loved Tribe’s jazzy style of rap music. 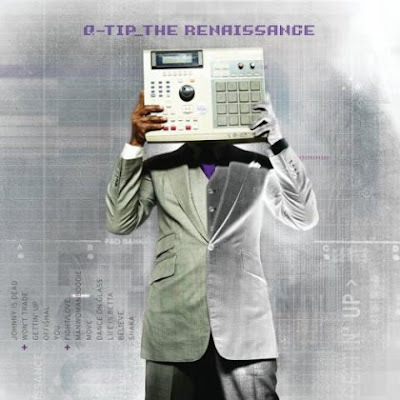 While hip hop continues to change musically, will Q-Tip be able to revive the art with The Renaissance? Bonita Applebum…ya gotta put me on! Now this is classic rite here. Go see A Tribe Called Quest at Rock the Bells Aug. 9th! The lineup has been out for a minute, but I’m posting this for those who missed it. 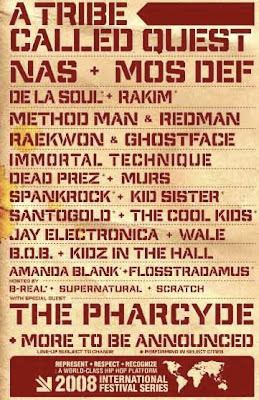 This has gotta be the hottest show since the Glow In The Dark Tour brought to you by Kanye and co. Nas and A Tribe Called Quest alone is worth it, but when you throw in Ghost & Rae, Red & Meth, Rakim, and a slew of others, you got one hell of a show. Rock the Bells will take place August 9th at the Glen Helen Pavilion in San Bernadino (and yes, tickets are still on sale). I’ll be there, where will you be?